At this visit, we also took a progress panorex xray to see my roots. Everything looked to be going on track! This was exciting to hear! Also, I was switched to a 7 day cycle which means my attachments will be coming off in exactly 3 weeks!! 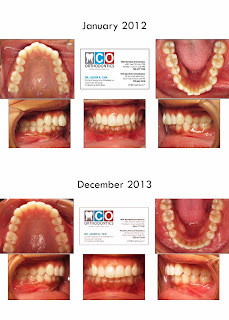 Although I will need refinement aligners, I'm happy to be close to the end of my midcourse correction aligners! This is the panorex xray we took a few weeks ago in October 2013. My roots are looking much better! Toronto Invisalign - Chipped or Broken Attachment? Hi everyone! Today I want to talk a little bit about chipped or broken attachments. 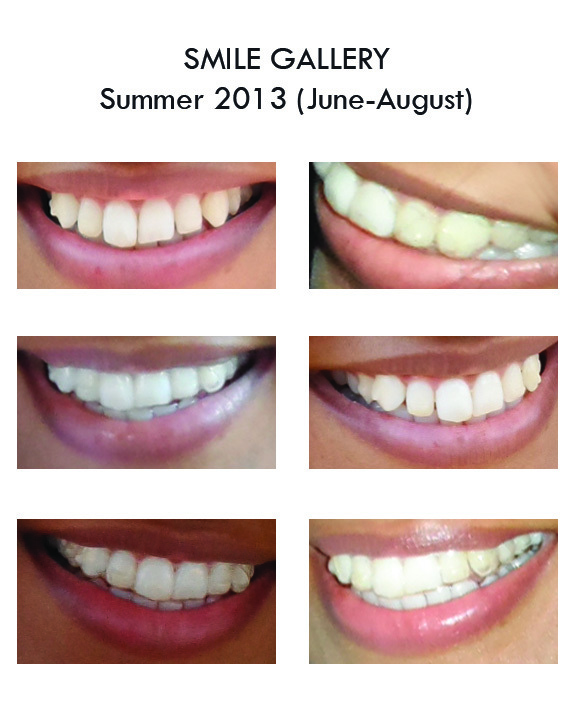 I am currently on aligner #11. I was supposed to switch into aligner #12 a few days ago, but I noticed that same day that one of my upper premolar attachments was chipped. I'm not sure when this happened, but I am certain that it was some time in the past week. I generally check my attachments weekly to make sure they are all intact. I will have a new attachment bonded on before I switch into aligner #12. 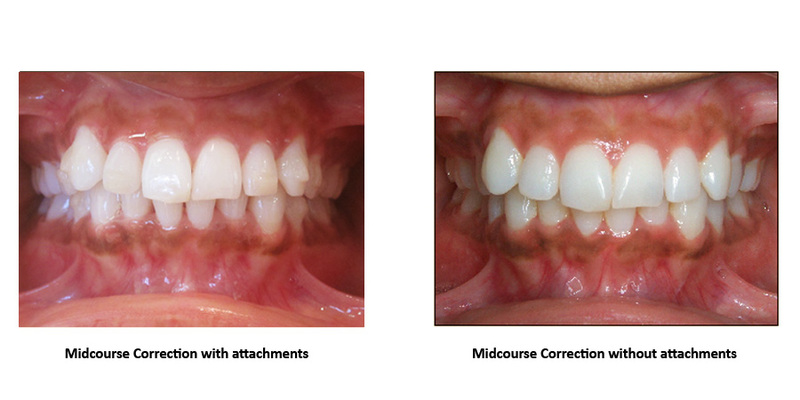 It is important that if/when an attachment comes off, that you do not switch into your next set until the attachment is bonded back on. For example, if I were to get my new attachment bonded on with aligner #12, than I won't get the correct movement with my tooth for that stage. If I bond the new attachment at the end of #11 cycle, than my attachment will be in the spot it is supposed to be in for the beginning of stage 12. Sometimes with the attachments being so small, it is hard to tell whether or not they are chipped/broken. 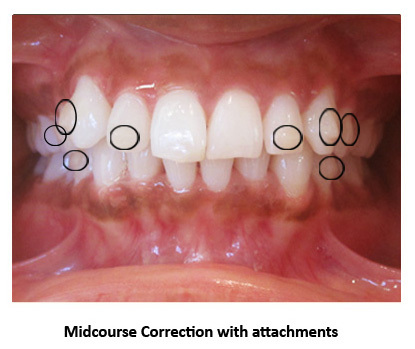 A good way to check the shape is to match the outline of the attachment wells on the aligner and compare it to the actual attachment bonded on the tooth. If you're still uncertain and not sure if the attachment is chipped/broken, it is best to see your orthodontist and have them take a look at it for you. Having a chipped/broken attachment and not getting it fixed can delay your treatment time because the tooth won't align correctly. It can also cause future aligners to not fit accurately. If you have any questions, please feel free to ask them in the comments section! Hope everyone has a sunshine filled weekend! 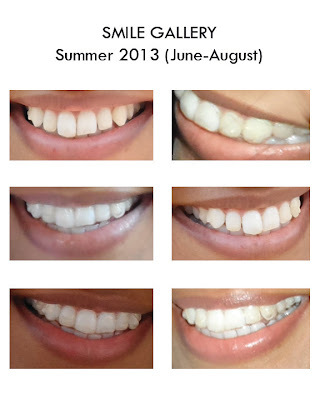 10 Day Cycle With My Toronto Invisalign! Two days ago I switched into aligner 9. I was also told that I can now follow a 10 day cycle! I`ve been waiting to hear this for a long time now. Switching to a 10 day cycle means I will complete my treatment sooner then I expected. Instead of finishing in March 2014, I should be done treatment by approximately December 2013/January 2014. 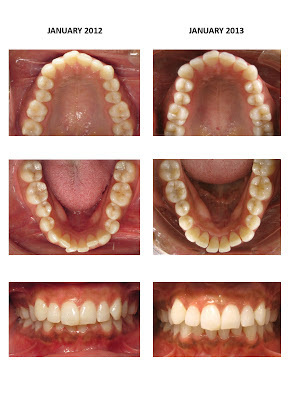 At that time I will have completed all my aligners, however, there is still a chance that I will need refinement. 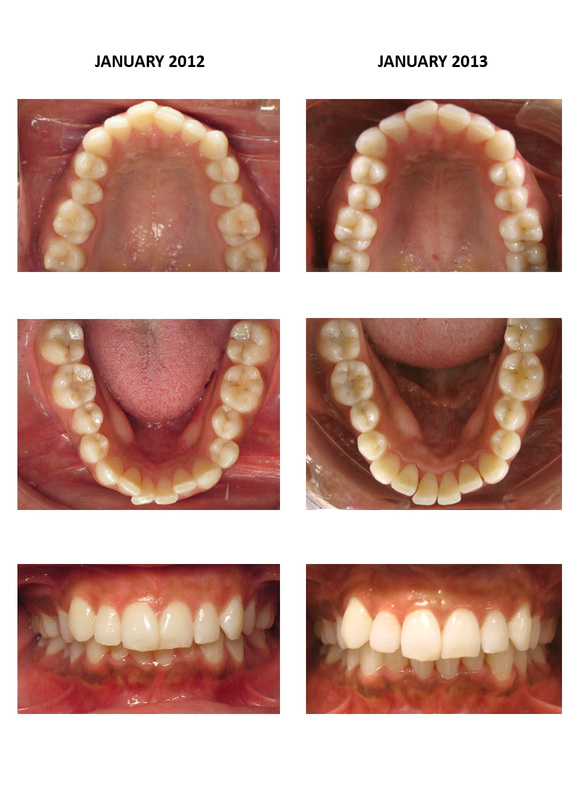 When I originally began treatment, my upper canines were moderately rotated, meaning that it will take longer to correct their alignment. 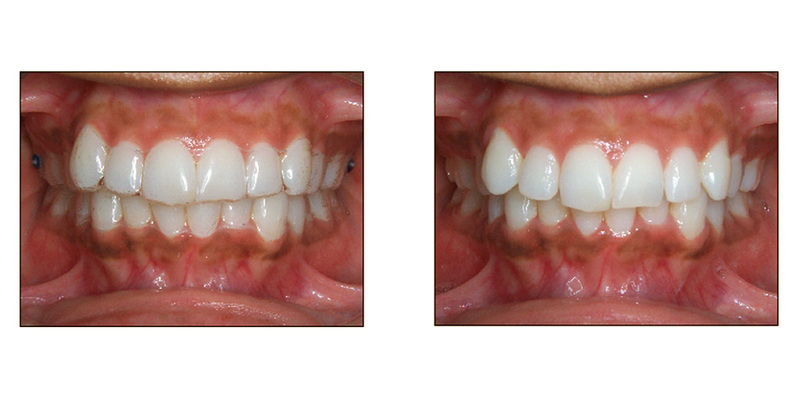 I was given the option of having partial braces to speed up the treatment, but I opted to have full Invisalign. For everyone who is planning to or currently in Invisalign treatment, just know that after your initial treatment, there is still a chance you may or may not need refinement. The refinement stage is generally to adjust any areas that you or the Orthodontist feels needs to be corrected. In my case, if the canines are not exactly where they should be, then we would proceed with refinement. Nonetheless, I am VERY excited to have been able to switch to a 10 day cycle! I'm crossing my fingers that my canines are cooperative and align themselves out by December! On a side note, to all of my fellow Torontonians, I hope you are enjoying the beautiful spring weather that we are finally having! Thank you for reading and I look forward to updating you with progress photos soon!